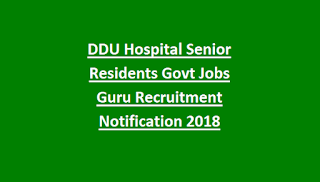 Candidates applying for Senior Resident Post at DDU Hospital must not exceed the upper of 40 years as reckoned on 01-08-2018. 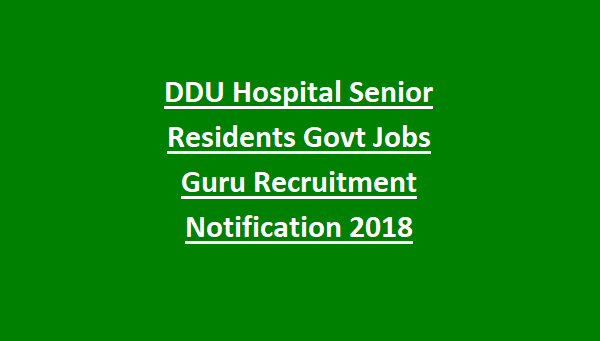 Candidates interested to join DDU Hospital as Sr. Resident must have secured MD/MS in the concerned discipline from a University recognized by MCI or DCI. Candidates intend to contend for the desired department will be assessed on the basis of Academic Qualifications and Personal Interview. Candidates interested to join Deen Dayal Upadhyay Hospital must attend the Walk-in Interview carrying original documents on 1st October 2018 from 09.30 A.M. to 12.00 Noon in Seminar room, Administrative Block, 1st Floor, Deen Dayal Upadhyay Hospital.